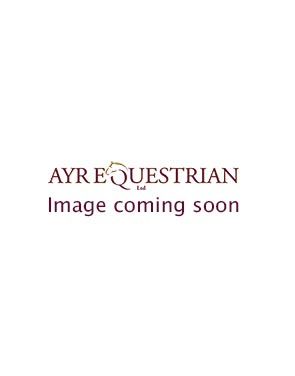 Buy headcollars, lead reins, and coupling chains at Ayr Equestrian. With a selection of leather and brass to choose from, you can look elegant in the show ring with your young horse or pony. We have choices that are able to be used on both headcollars and in hand bridles. We have leather lead reins for sale with colour options of black or brown. This is perfect for co-ordinating with your horse or pony’s bridle. Choose between full leather or leather handle with a brass chain. To attach your lead rein to an in hand bridle, use a coupling chain. These attach to either side of the bit, to give an even feel on both bit rings as you lead them. The brass Newmarket chains are a traditional choice that will look classy and sophisticated as you show.